Hybrid vehicles are no longer a new concept, but that does not mean research and development (R&D) has ceased. If anything, it is ramping up as demand for hybrid design optimization continues to grow. 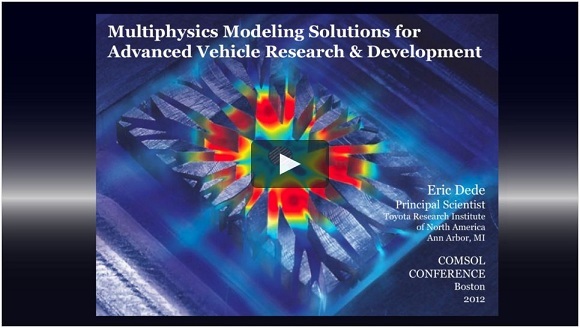 Ercan Dede from Toyota Research Institute of North America held a keynote talk at the COMSOL Conference Boston 2012 on how they are using multiphysics modeling for advanced vehicle systems R&D. If you weren’t there, you can now watch his keynote in a video format instead. In his keynote talk, Dede mentions that the power density increases for each hybrid vehicle model year (driven by packaging constraints). Hybrid vehicles are powered by electronics systems, which generate heat. That means thermal management is a key issue when designing these types of cars. Therefore, the amount of power dissipation is also increasing with each model year; to prevent components from overheating and failing prematurely. There are several different approaches one can take to dissipate power. For their hybrid component, Toyota went with a cold plate approach. As you will see in the video, inside a typical hybrid component there is an electronics system (an inverted converter assembly, to be precise) that generates a lot of heat, and a cold plate structure at the bottom of the component to keep the system from overheating. In their advanced vehicle systems research, Dede and his team needed to optimize the geometry of the cold plate design. Here, Toyota moved away from a traditional design approach in favor of an “inverse material layout design approach”. A material layout optimization technique was built into the workflow, leading to an informed initial concept, bypassing trial-and-error. Furthermore, this approach often leads to solutions no one could have fathomed using a traditional design approach. Before designing the concept using SolidWorks®, the researchers used multiphysics to develop structural topology optimization. Then, after further working on it in CAD, the final design is imported to COMSOL via LiveLink™ for SolidWorks® so it can be verified using multiphysics analysis (CAE). Integrating CAD and CAE tools is crucial for verifying and validating the optimized and as-built designs. 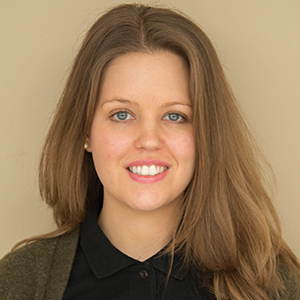 Multiphysics simulation proves to be a key tool for advanced electromechanical system design, as it involves the coupling of several different physics: electromagnetics, mechanics, thermal, and fluidics. Or, as Dede put it; “[there is] a lot of physics packed into a very small space”. Through the use of Finite Element Analysis (FEA), they were not only able to maximize performance, but also develop a unique concept design. SolidWorks® is a registered trademark of Dassault Systèmes SolidWorks Corp. LiveLink™ for SolidWorks® is not affiliated with, endorsed by, sponsored by, or supported by Dassault Systèmes SolidWorks Corp. or any of its subsidiaries in the U.S. and/or in other countries.